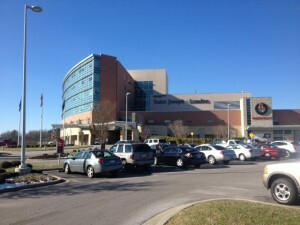 We are pleased to announce that the Saint Joseph ENT Center will now be staffed 5 days a week by our physicians due to the increase in patient demand. Dr. Lange will join Dr. Wilson and DR. Shashy in providing medical and surgical ENT treatments at the Saint Joseph East Medical Complex. Not only will the clinic be open 5 days a week, outpatient surgery will be scheduled 3 days on the campus as well. Full service audiology testing and treatments, including the latest in Hearing Aid technology, will continue to be provided by our audiologists. 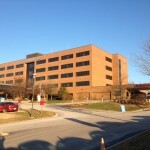 The clinic is located on the first floor of the Eagle Creek Medical Plaza building, adjacent to the hospital. Call 859-629-7140 for questions and appointments. We are happy to announce that ENT Specialists, PLLC is now staffing the Kentucky One Health SJL ENT Clinic in London, KY 4 days a week. Dr. Lange will join Dr. Wilson to see and treat pediatric and adult patients in the clinic, located at 1406 West Fifth Street in London. Outpatient surgical procedures will continue to be performed in the operating room suites at Saint Joseph London Hospital. Due to high patient demand in the area, we will make ourselves more available and continue to provide high quality ENT care. Call 606-877-4579 to schedule an appointment. New Additions to the Practice! ENT Specialists, PLLC, is happy to announce the additions of Dr. Robert Wilson, MD, and Dr. Susan Yezzo, AuD., CCC-A. 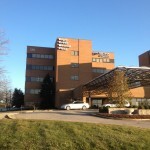 Dr. Wilson is moving his practice from Elizabethtown, KY, where he had previously worked at Hardin Memorial Hospital. He received his M.D. from West Virginia University and completed his residency in Otolaryngology: Head and Neck Surgery at the University of Kentucky. He is board-certified by the American Board of Otolaryngology. Dr. Yezzo received her AuD. from the PCO School of Audiology. Before joining ENT Specialists, she was employed as an audiologist by KY ENT.